Protech Garage Doors is a family-owned and operated business that has provided sales and service in the Ottawa/Gatineau regions since 2009. With over 20 combined years of experience, we've built our reputation on providing our clients with repair service and maintenance on all makes and models of garage doors and garage door openers. Fully insured, bonded and licensed, we're a business you can trust providing ample warranties for both our products and services. 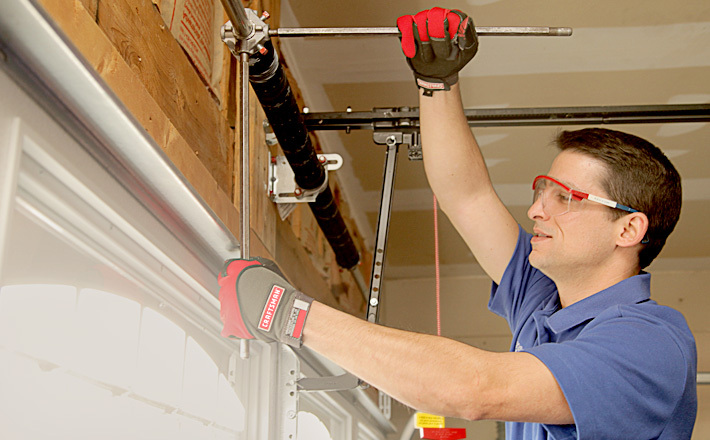 At Protech Garage Door Repair our mission is to provide our customers with the highest quality of products and service in the most efficient and expeditious manner possible while vastly exceeding their expectations. We constantly strive to satisfy our customers and conduct business within our community in the most professional manner. Contact us today for personalized advice on buying a garage door or on repairs of an existing one. Our installation services meet the highest industry standards, and unequalled after-sales service thanks to our maintenance and repair program. "Garage Door And Opener Installation: One of the most Professional Garage Doors Companies that I had the pleasure of working with. Protech Garage responded to my email enquiring about New Garage Doors within 2 hours of sending it and Sam came by to take measurements that same day and quoted us a price that we couldn't turn down. The Garage Door came in sooner than expected and Mike did a great job installing it. All in all, a very positive experience and we have the nicest Garage Door on the street according to all our neighbours. I would highly recommend Protech Garage Doors in Ottawa." "Garage Door Repair: "I Had my garage door opener rip out of my metal door leaving my house open to strangers who wants to open it. I called one company that came to look at the damage but left and never even called back. I was very irritated So I called Protech Garage the next day and they came by within the hour after I called and fixed the problem along with aligning the tracks and remounting the motor since that was the main problem. Nothing but good things about my experience. If you need a garage door fix don't hesitate to call these guys they get the job done!" "Garage Door Opener: "We recently moved into a new home on Bank Street, Ottawa which required garage door opener. I spoke to Protech Garage Doors who provided me with the various models and gave me there recommendations. Sam from Protech Garage Doors is very knowledgeable and his pricing is very reasonable. On installation day, Sam showed up at my door step right on time. He made the job look so effortless. Furthermore, the installation was done in a timely manner. I highly recommend Protech Garage Doors to anyone in Ottawa Region. " "New Garage Door: Protech Garage responded quickly to our phone call and the representative who came to my house was very respectful, professional and knowledgeable. I was offered a wide range of garage doors to choose from that weren't offered by competitors who I have reached for estimates. The installation was completed professionally on time. The final cost was fair to me based on the quality of the service and product that I have received. I would recommend Protech Garage Doors to anyone that is looking for reliable, hassle free garage door services." Protech Garage Doors is a full-service garage door company that will meet and exceed all your expectations.